I’ve been attempting to write this blog entry for some time now, and the time is finally here! If you’ve been following my personal Facebook or Instagram, you know that my little family is expecting a new addition any day now! With that comes a ton of changes, and much needed maternity leave to snuggle my precious baby girls. I’ll probably watch a ton of Netflix and catch up on some of my photography/business education courses, in between caring for a toddler and newborn. Here is now where I will ask for a ton of prayers to help me transition to a mom of 2 under 2. 😅 and for Nic’s sanity as a girl dad. Haha! We are thrilled though and can’t wait to see how our family grows and changes. 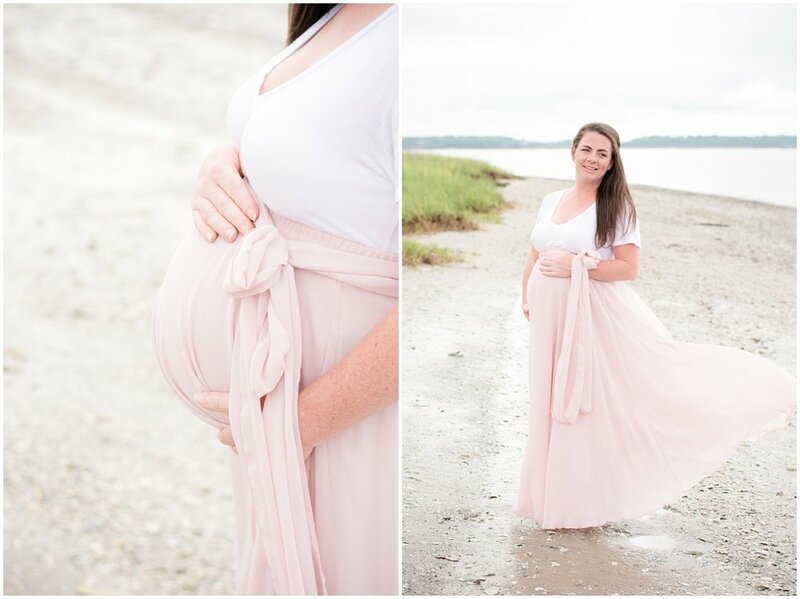 Before heading on leave officially, I met up with my friend, Kaitlin Beckwith of Captured by Kaitlin Rose Photography, to have my maternity portraits taken. 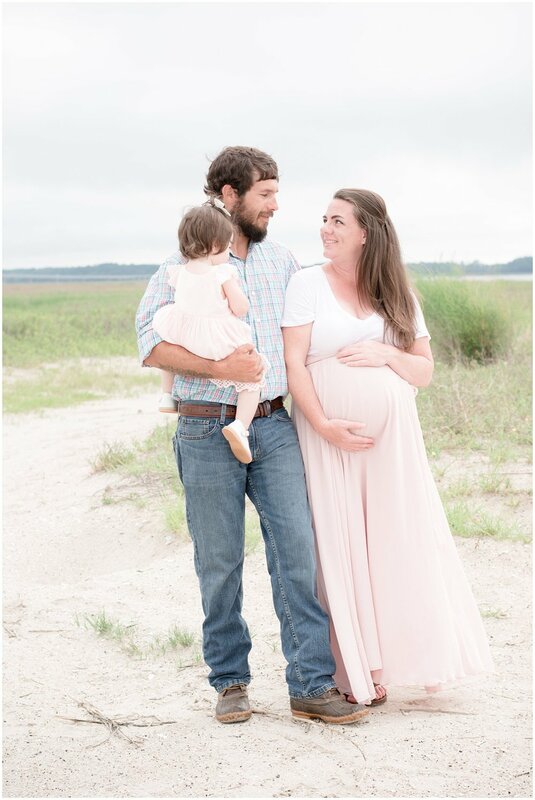 We captured these sweet moments in Beaufort, South Carolina, my hometown. I’m so thankful for these portraits and a glimpse of just the three of us before Hattie Leigh makes her grand entrance. It was a humid day, and EvaJean was her sassy little self, not wanting anything to do with her momma since daddy was with us. She’s definitely a daddy’s girl, so maybe Hattie Leigh will be her momma’s sidekick. Since EvaJean wanted to stick by her daddy’s side during our photos with Kaitlin, I had my friend, Jessie take a few of EvaJean and I around one of the local farms in Summerton. EvaJean had other plans, so these are mostly fun candid images, but precious nonetheless. 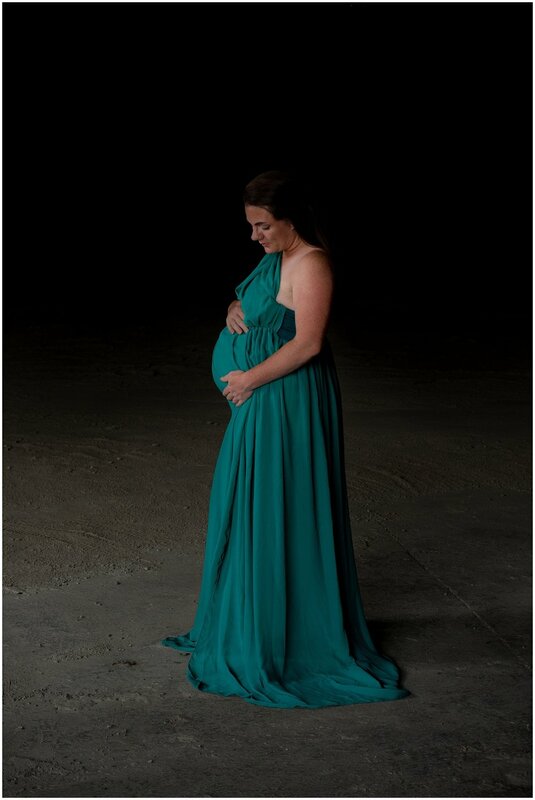 I’m so thankful for both Kaitlin and Jessie taking the time to help me remember these moments with my first little slice of heaven and capturing these last few weeks of maternity with Hattie Leigh. For my clients, I’m going to try to keep up with blog posts and keeping you guys informed on all things business related. I’m hoping to be back in the full swing of things by Septmeber. I’m finishing up the last few things I have in my queue and will be sending those out soon! In the meantime, I will be responding to emails and messages as best and quick as possible, but please bare with me as this new adventure is going to take some getting use to. I’m so thankful for all my wonderful clients and I promise I won’t be gone too long! Stay tuned for new blog entries to include EvaJean and Hattie Leigh!